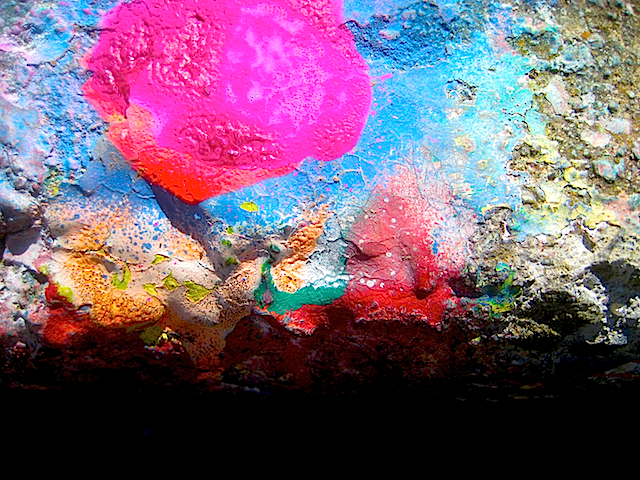 This entry was posted in Photography and tagged abstract, blob, paint, photography, psychedelic, sf mosquito abatement program. Bookmark the permalink. Thank you! These are all over town as part of a mosquito abatement program. Every time the city drops a tab of insecticide down a curbside grate, they squirt a little spray paint on. Last year they used primary colors, this year they went wild.